1. A minimum deposit of $25.00 is required to qualify for this 100% bonus. 2. The maximum bonus is $1,000. 3. There is a 15x (Fifteen time) rollover requirement associated with this bonus. 4. This promotion expires on Sunday, January 6th 2019 at 11:59pm (ET). 5. In order to receive this bonus you must use the promo code WILD19 in the Cashier while making your deposit. 6. Deposits via Skrill and Neteller do not qualify for this offer. 8. The free plays earned are for the sportsbook. They cannot be used in the Racebook, Casino, Poker or Live Betting. 9. You must use any free plays already in your account before claiming any new free plays. 10. This promotion is by invitation only and non-transferrable. 11. No withdrawal can be made for 30 days after the bonus has been credited to your account. 12. BetOnline reserves the right to modify or discontinue this promotion at their discretion. 13. Players residing in Russia, Bulgaria, Greece and Serbia do not qualify for bonuses. 14. Standard terms and conditions apply to all bonuses, please see website Rules for details. Ever kick yourself for not betting on a game? We all have. With our industry-leading Live Betting software, you can make your bets as the action unfolds on the field. Try it out risk-free. 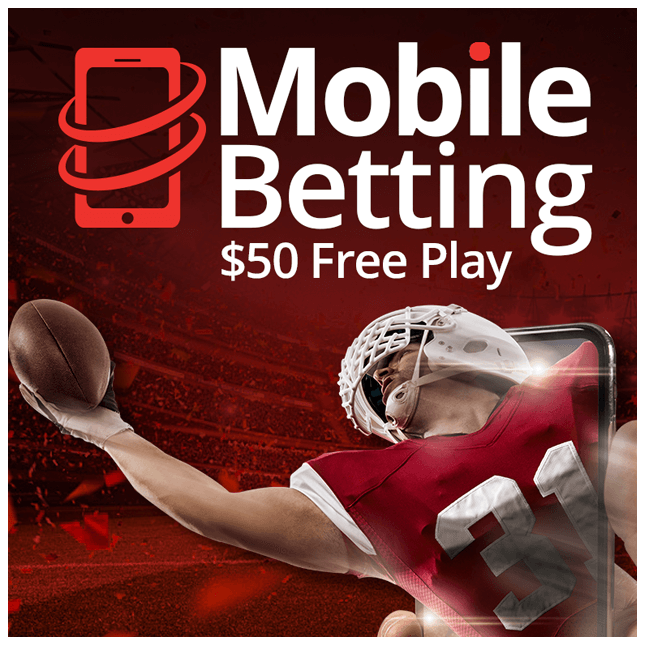 Get up to a $50.00 free play on your first ever Mobile sports bet. Simply place a sports bet from your smartphone or tablet. If your bet wins, congrats you are already scoring a profit from Mobile betting. If your bet loses, we’ll reimburse your bet with up to a $50.00 free play. Check out our all-new, state-of-the-art Player Props and score a Free Play if you don’t pick a winner. 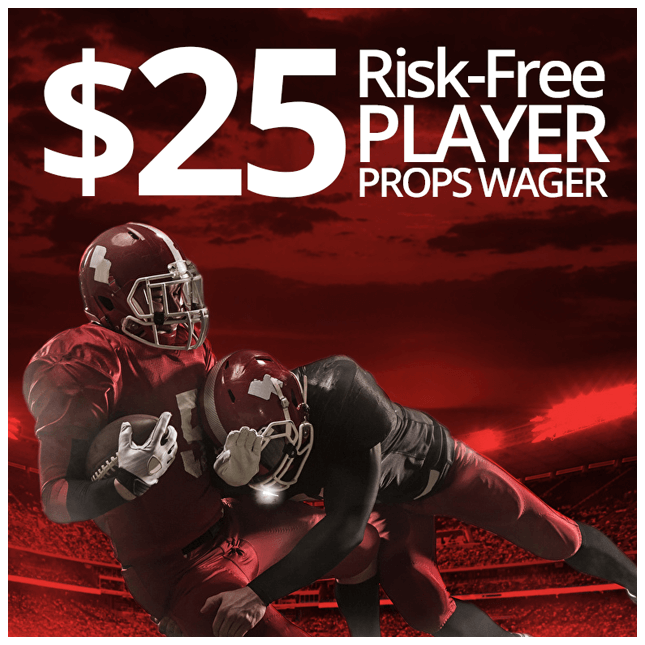 Just use our innovative software to create and customize your own player prop wager. 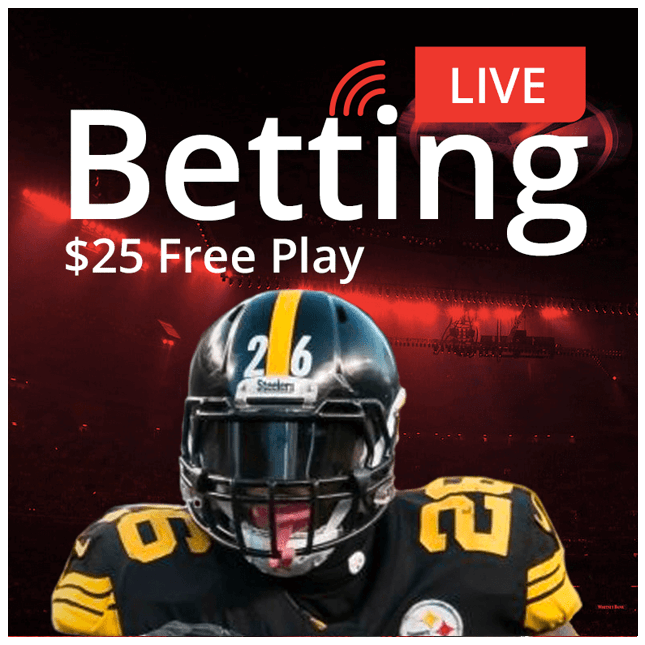 We’ll match your first ever wager with a Free Play up to $25, if it loses. Live Chat or Toll free 1-888-426-3661 for instant support!